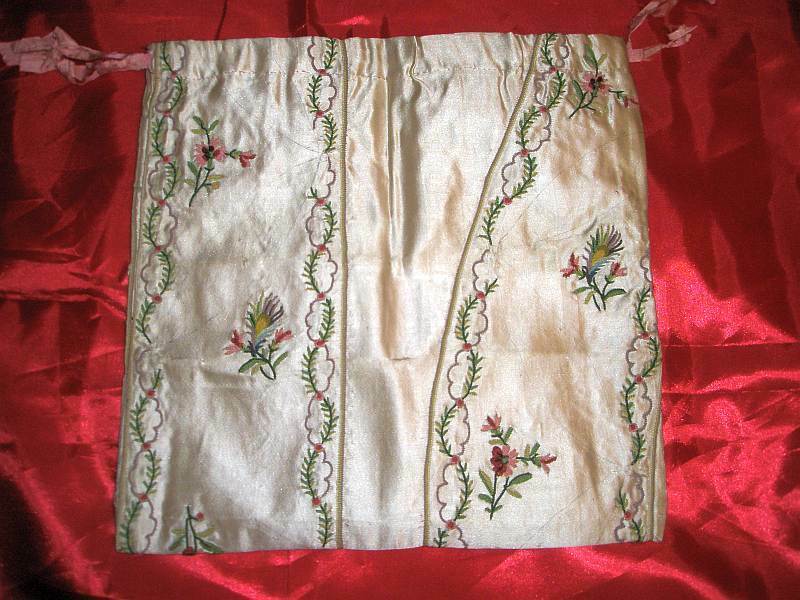 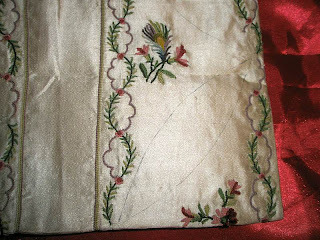 This is a lovely hand embroidered silk reticule, dating from about 1790. 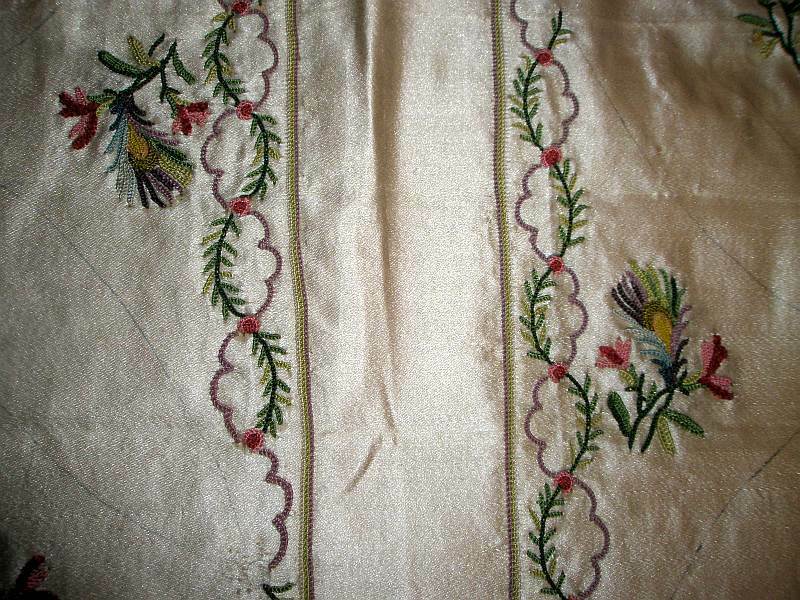 It has quite likely been made up from a man's waistcoat, which was never constructed, as there are very faint pattern indications, which are hardly noticable. Finest embroidery and fresh colours make this a very collectable item. 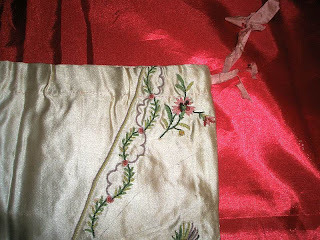 The inside lining is of pink cotton. 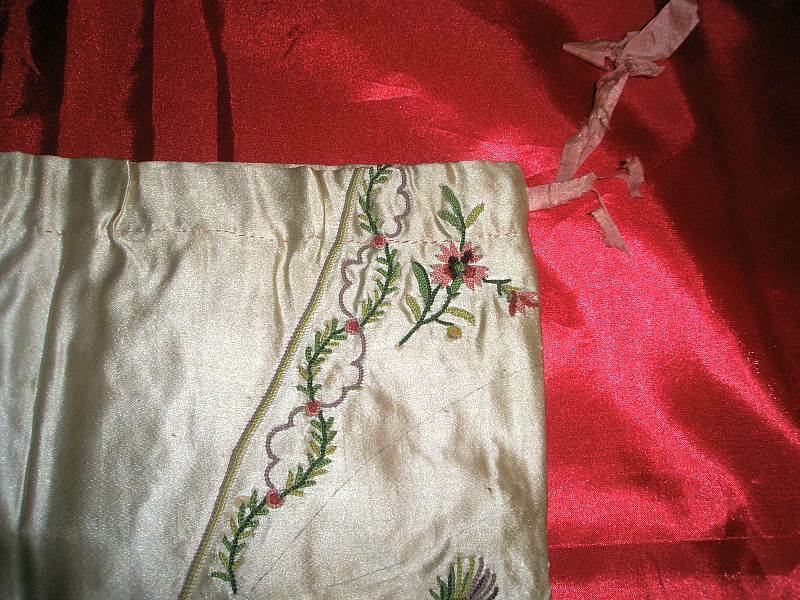 The condition is excellent, although the ribbon drawstring is weak and may have to be replaced. 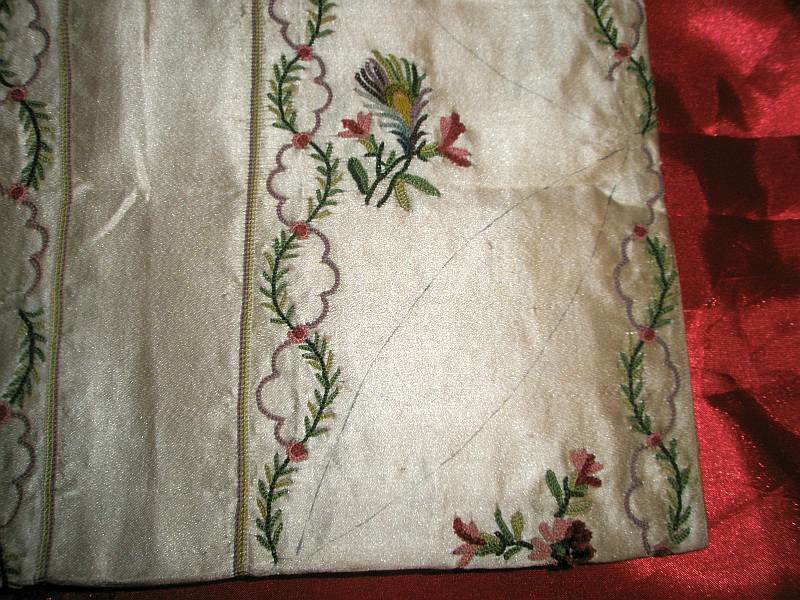 The reticule measures 9 1/2" x 10"
It looks like this was meant to be a waistcoat but, based on the pen ink still there and not embroidered over, the waistcoat got turned into a purse. 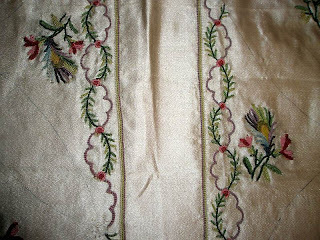 It might have been the waistcoat was too small, the pattern got messed up, a small child/animal/husband spilled something all over most of the waistcoat and only leaving a small bit of it looking in any sort of reasonable condition... yeah, we've all been there.